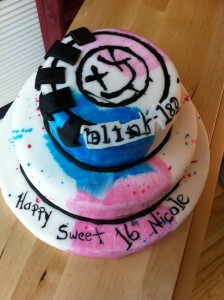 A friend of mine from work asked me to make a cake for her little sister’s sweet 16 birthday party. She loves Blink 182 so that was the theme. We need more insithgs like this in this thread.